Want Great Health? Start With Your Food! There are many, many factors that play into how healthy we are, or are not. But one of the very most important ones of all is what we choose to eat each day, and from this point of view, we can combine the words “healthy” and “lifestyle” because a “lifestyle” means how we make decisions every day. So a “healthy lifestyle” means consciously and deliberately choosing actions on a daily basis, to the best of our ability, which limit our chances of creating disease while maximizing our opportunities for creating vibrant health. Making wise food choices every day is the first step to creating a healthy lifestyle that will have significant positive impact on our health. Most people eat devitalized, chemical laden, nutrient deficient, genetically manipulated and processed foods on a regular basis and over time, that kind of diet will cause degeneration in health and lead to disease. So, start with understanding what good food choices are and then eat that way each day because everything else (supplements, detoxification, natural medicine, etc.) then springs forth from there. Once a healthy diet has become routine, it actually gets easier and easier to add more healthy lifestyle options that improve health even more as time moves forward. For maximum health and healing, eat whole, fresh food every day! I’ve been living a “natural living lifestyle” for nearly 25 years now, and I will share with you that not only do I love it, but that I have also benefited immensely from it. To live “naturally” means to shy away from synthetic and chemicalized foods, products and medicines and rather to use what the body intended all along: stuff from Nature. And a magical thing happens when you give the body what it needs: it heals, and symptoms of disease often go away! At the time of this writing I am 50 years old, yet most people think I’m in my 30s! Sure, I have had some semi-serious health problems, but I have treated them naturally (with the help of professionals) and I have gotten better; plus, I am not on any synthetic drugs, which only manage symptoms anyway and can also cause horrible side effects (because they’re synthetic!). I live what I preach, in a big way, because I fully believe in it. 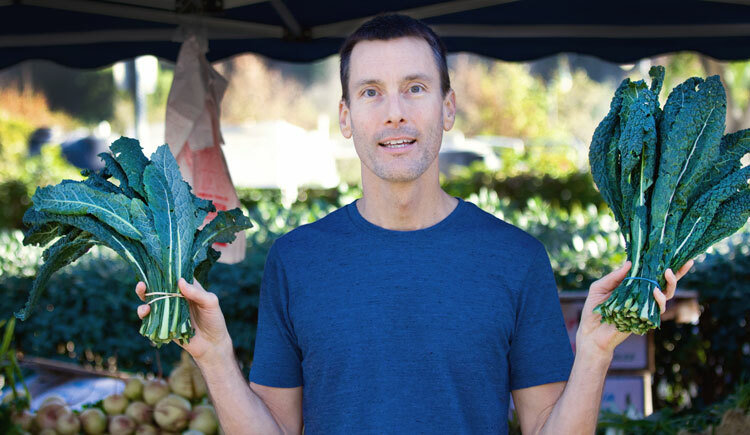 The “natural lifestyle” is really about doing what Nature has intended all along for our health, and although it may seem complicated at first (and certainly contrary to mainstream media), it really isn’t difficult at all once you put it into practice. My book, The Beginner’s Guide to Natural Living, which outlines 11 major health categories one should understand in order to adopt a healthy lifestyle. My book is available as a softcover book, on Amazon’s Kindle, or as an eBook, and it can also be read in its entirety at my other website, TheNaturalGuide.com. It’s really a great book that I put a lot of time and effort into and it gives a comprehensive overview of how to start a healthy lifestyle. My 9 healthy recipes that are delicious and easy to make. Eating healthy food and avoiding unhealthy food every single day is absolutely essential to maintaining good health and/or reversing disease. Most people do not know how to prepare delicious meals from whole foods (e.g., not from a can or a box) and therefore their diet compromises their health. My healthy recipes are available in DVD format for convenience and are also on YouTube. Printable instructions are included. My educational natural health YouTube Videos, found on my YouTube channel. My background is in the video/film industry and I love making videos about natural health topics. I have over 375 videos on my YouTube Channel with interviews of doctors, professionals and lay people; and I also have healthy recipes as well as my own videos. Most all relate to the natural lifestyle in some way. The easiest way to keep up with my videos as I make them is to subscribe to my YouTube Channel.